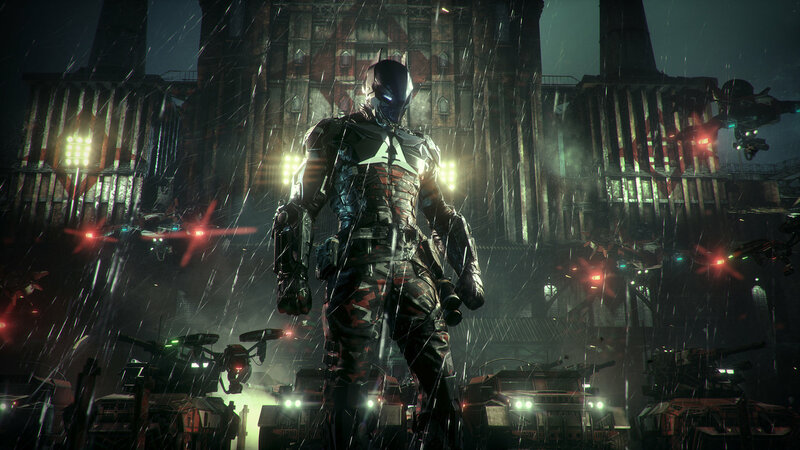 Arkham Knight is getting its second delay, after already missing its originally planned Fall 2014 release. 2015 is finally gearing up. Spring is just around the corner, and come next month a slew of 2014’s most promising titles that never made it to last year’s store shelves are going to start trickling into our consoles and PCs. Near the end of this long-awaited arrival is Batman: Arkham Knight, the finale to one of the most celebrated trilogies of the past generation. Rocksteady reminded us today of the Dark Knight’s return with a brand new trailer for Arkham Knight, appropriately titled ‘Gotham is Mine‘. December 6, 2014 will go forever be remembered by Sony PlayStation fans for several reasons. Sony celebrated 20 years of gaming excellence on their behalf by putting on the inaugural PlayStation Experience event. The first official day started off with an extensive press/fan conference that featured exciting bits of gamer trailers and so much more. Never mind the disappointing moments (that Final Fantasy VII PS4 reveal felt like the biggest troll announcement ever…), because we’re going to showcase the top 10 gameplay trailers that made their debut. David Jaffe’s name is attached to two of Sony’s biggest original IP’s – Twisted Metal and God of War. So when he finally hit the stage during the final moments of the PlayStation Experience live stream, we got excited. His newest project was revealed to be Drawn to Death, a third-person multiplayer shooter that sports the visuals seen in school book doodle drawings. We have a new favorite character because of this gameplay trailer reveal – Dodgeball Dan. You’ve probably guessed by now that some of us here enjoy a good slash ’em up horror film or two. The PS4 exclusive Until Dawn replicates the slasher film experience perfectly as evidenced by this new dose of gameplay. You’ll have to make tough decisions as you avoid death at every turn. You’ll need to keep your teenage survivors safe since they’re capable of dying for good. We can’t wait to act out our Choose-Your-Own-Adventure book fantasies with this game in 2015. Sega made a bold proclamation during the PlayStation Experience live stream event – Yakuza 5 will be arriving on the PS3 in 2015! Our hype levels went through the roof once that announcement was made! There’s no need for us to be jealous of Japanese gamers any longer. The localization for this open-world hit has been a long time coming. We’re finally getting the 5th main entry in the best video game adaptation of Chinese Mafia living…ever. FINALLY! Some extended gameplay for this fresh PS4 IP was on the top of our list of the trailers we wanted to see during the Playstation Experience. The Order: 1886 just got put back on our list of most anticipated games for 2015. The cover-based gameplay, cinematic graphical presentation, interesting plot premise and terrifying beasts got us even more excited to enter this game’s dark world. Wow…just wow. From Software adopted the punishing yet addictive nature of its Dark Souls series, placed it all within a gothic horror backdrop and made the combat just that much quicker and bloodier. The result? Bloodborne. The new trailer on display for the upcoming action RPG featured some intense battles that featured well-equipped co-op partners. The mentioning of a playable, never-ending dungeon got us pretty hyped for this one. So Hello Games’ No Man’s Sky is big. Like, really friggin’ ginormous. Want proof? Take a gander at all the different planets you’ll come upon as you explore this game’s massive universe. The sci-fi nut inside of us felt so much shock and awe at the sight of all the different looking landscapes we could explore. This game is innovative and we can’t wait to test out its fresh take on planetary exploration in 2015. We knew we were going to see some sort of trailer alluding to the continued development of Uncharted 4: A Thief’s End. We just weren’t expecting to watch a 15-minute long live demo of it. As far as video game press conferences go, this intro was one of the best. Watching Nathan Drake run, jump shoot, sneak and grapple looked amazing in motion. That new grappling hook mechanic was cool as all hell. Ignore the Drake death glitch and enjoy the gameplay! Yeah, we totally saw the leaked trailer for this huge reveal. But the official PlayStation Experience reveal was nothing short of mesmerizing. The next-gen overhauls of Street Fighter’s Ryu and Chun-Li were incredible to watch during this extended fight scene. We came away from this demonstration thoroughly impressed. The flashy air combos, environmental interaction and powerful new moves has us ready for the next generation of Street Fighter. Update #2: And now we present to you the third and final trailer shown for the game during the PlayStation Experience press conference! Update #1: Here’s the second trailer featuring more Ace Chemicals Infiltration gameplay! 2015 will not only be ruled by a new slate of superhero flicks, it will also feature the one Batman game to rule them all – Batman: Arkham Knight. Rocksteady Studios is making sure its next open-world Batman adventure is finely tuned to perfection, which is why its release was pushed from 2014 into next year. While the wait for this huge AAA game release is hard to bear, we have some trailers to bask in all the while. Speaking of new Arkham Knight gameplay trailers, the video you see above just dropped! In this awesome piece of footage, Batman can be seen infiltrating the infamous Ace Chemicals building, using his familiar set of stealthy maneuvers and untouchable martial arts expertise. Some of the newest mechanics you’ll spot in this trailer are Batman’s Fear Takedown and some of the new interactive elements used during combat situations. We’re pretty damn excited to get some extensive hands-on time with Arkham Knight once it releases during the summer of 2015. Some of the confirmed characters who’ll be showing up in this new vision of Gotham includes the brand new Arkham Knight, The Penguin, Harley Quinn, Red Hood, Scarecrow, James Gordon, Two-Face and The Riddler. No one knows the true identity of the mysterious Arkham Knight, so the mystery behind this person’s true self looks to be a huge part of the game’s plot. Much of our excitement for this game comes from the additional Harley Quinn and Red Hood DLC missions that will be in upon release. 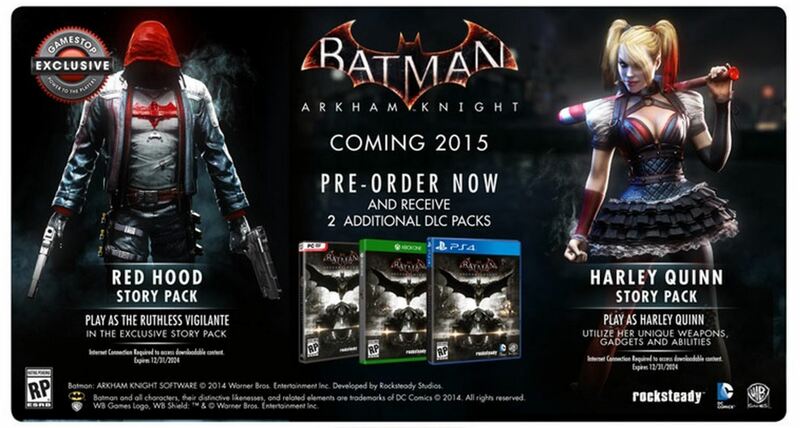 This isn’t the only trailer we’ll be getting before the end of 2014 for Arkham Knight. Two more pieces of gameplay will release soon – the 2nd one on December 1 at 9 a.m. Pacific / 12 p.m. Eastern and the 3rd one on December 6 during the PlayStation Experience keynote. we’ll add those two trailers in as soon as they’re available. Batman: Arkham Knight will FINALLY be in our hands and consoles (Xbox One, PS4 and PC) on June 2, 2015.